“Where’s the pig, though?” Photo by Dario-Jacopo Lagana’ on Flickr. Today we’re campaigning to stop Google’s anti-competitive scraping of your imagery. By adding your name to both of the open letters below, you can lend your voice to the campaign and let US and EU anti-trust regulators know that it is not okay for Google to profit from your creativity and unfairly compete in the distribution of your images. You do not need to be living in the United States or the European Union to sign these letters, nor do you need to be a Getty Images contributor. This affects the entire visual content industry and we are stronger together. Click the links below to sign today. One aggregator fighting against another. Bot: Very nice! Where abouts are you located? ^ that’s the Sp@m Looper. It’s a service I made that puts spammers (and scammers) in an email loop with a bot that regularly asks the spammer questions. Finally a real use for chatbots. This year, we are raising money with a most important goal: our continued independence as a project. OpenStreetMap is the largest open geographic database in the world, the data infrastructure for multitudes of mapping projects around the globe. Your donation to the OpenStreetMap Foundation will cover our core operational expenses in supporting the OpenStreetMap project: hardware costs, legal fees, administrative assistant and other expenses of our working groups and administration. We currently run extremely lean for an operation for a project the size and importance of OpenStreetMap. The OpenStreetMap Foundation relies on revenue from individual and corporate membership dues, profits generated by the annual State of the Map conferences, and past donation drives (thank you so much for the support last year — GBP 60,000 for updating our server infrastructure). We must keep our income sources diversified, as these vary from year to year, but our modest needs stay the same. For this, we need your support. At the time of saving, they’re just over one-tenth of the way to a €70,000 goal. If you use, contribute. And maybe even if you don’t. Buying Twitter would be a challenge for a number of reasons. Among the lesser-explored ones: The struggling social network pays out so much stock to its employees. Even among its Silicon Valley peers, which have drawn closer scrutiny from investors recently because of their generous stock-based compensation practices, Twitter is notable for how much equity it doles out. And those grants of restricted stock units or options, which would have to be covered to some degree by any buyer, simply add to the purchase price of any deal. According to Twitter’s most recent annual filing, the company racked up $682m in stock-based compensation last year. By comparison, the company’s adjusted earnings before interest, taxes, depreciation and amortization — which also excludes stock-based compensation — for the year was $557.8m. Factoring in the payouts would have pushed Twitter well into the red for the year. Someone did point out this fact about the ESOs to me on Twitter after I wrote about the possibility of it being bought, and I can only apologise that Twitter’s search is so poor for any period longer than 14 days that I couldn’t find it to link to that instead. Apple is using an office in Israel to develop hardware for the “iPhone 8,” which is expected to be released next year with a radical redesign, according to an employee at the site. Details on the iPhone 8 are scarce at present but some reports, including this one from MacRumours, suggest that it will have an edge-to-edge display that removes the need for the top and bottom bezels where features like the fingerprint sensor and the front-facing camera are located. Some hardware for the iPhone 8 is being created in Herzliya, Israel, according to a local Apple employee, who said employees in Israel work on all of Apple’s new products. Wow! Tell us more about this knowledgeable person. The employee, whose identity is being concealed by Business Insider, solders components for Apple. With all of the Can You Top This? PR that surrounds driving automation, [Alphabet CEO Larry] Page’s stance [that an autonomous car must be fully autonomous] is an admirable injection of thoughtfulness, a sobriety check. The visionary statements and self-driving demos (cue demo jokes) blithely omit the “mere matter of implementation”. What’s the plan, the timeline? What are we going to do with the 235 million cars and trucks on US roads, some expected to last 20 years or more? How will manufacturers negotiate the US Department of Transportation’s Federal Automated Vehicles Policy? Sometimes, the last 5% of a project takes 200% of the time and money. Then we have another unanswered Google Car question: The path to money. Personally, I think a company needs one really good idea every ten years, so for a company as rich as Google, a few billion dollars for a new breakthrough looked eminently affordable…for a while. But there is such a thing as too much, such as Google barges and many other puzzling pursuits that fall into the Because We Can category. In May 2015, Ruth Porat left Morgan Stanley where she was Executive VP and Chief Financial Officer to become Alphabet’s CFO. The story is that her appointment had been heavily encouraged by investors who were concerned about Alphabet’s runaway “moonshot” projects. As expected, Porat set out to improve financial discipline and, for many projects, to demand a path to profitability. Highly speculative research, such as the Calico project’s quest to extend human life by 20 to 100 years, doesn’t entail huge financial outlays, but a grand and realistic endeavor such as developing the Google Self-Driving Car will require billions to reach its destination and raises business model questions as a result. Characterizing Facebook or Google as powerful media organs – even the most powerful – actually understates their power. Marshall McLuhan, 60 years ago, gave us another, fuller understanding of media. Electric light is a medium “totally radical, pervasive, and decentralized” that appears to us as media only when constituted into video content. Electrical current itself completely changes our relationship to the world and, in the process, reconstitutes us. A medium is not merely something that feeds us content. It is a condition like air or water, through which we move without noticing. The analogy captures part of what is happening, but goes even further. Facebook and Google are not only carrying us, but constituting us. We are, in fact, their media. Geared as they are to sharing, clicking and eyeballs, these media do not measure and do not value solitary contemplation, reflection and disconnection. They thrive and pulse on popularity, not veracity. They feed on extremes, not common causes. BlackBerry posted fiscal second-quarter results on Wednesday that saw it swing to a loss of $372m, or 71 cents a share, from a year-ago profit of $51m, or 24 cents a share. Revenue fell by a third to $334m. Analysts, on average, forecast a loss of 5 cents a share and revenue of $394m. [CEO John] Chen confirmed on a call with analysts that BlackBerry will have little to do with future hardware efforts, and will only collect a royalty fee on any phone sold by its partners. BlackBerry had previously teased a second Android phone to come, but that’s unlikely to show up. It’s unclear whether future phones from the partnership will make their way to more mature markets like the US, where the carriers have been lukewarm on carrying the devices. But there is still a small, but dedicated, base of users who appreciate the physical keyboard and focus on security. Chen teased other interested companies looking to strike similar partnerships around the world, but didn’t provide any names. He also hinted there would be high-end devices focused on security. BlackBerry plans to complete the shutdown of the internal hardware business by the end of this fiscal year. Sic transit gloria mundi. Microsoft next, then Sony? These things build up over time. But eventually they take their toll. I’ve said this before at times, but it’s never gotten traction: We crossed a rubicon when it was deemed socially acceptable that companies could read private email or messages for their own profit. It created immense incentives for surveillance infrastructure. Its the same old same old. If you’re not paying for a product you are the product. I still have my yahoo account for accessing some local housing groups. It kills me that yahoo seems to be so unaware that so many nonprofits use yahoo groups for keeping in touch with people. 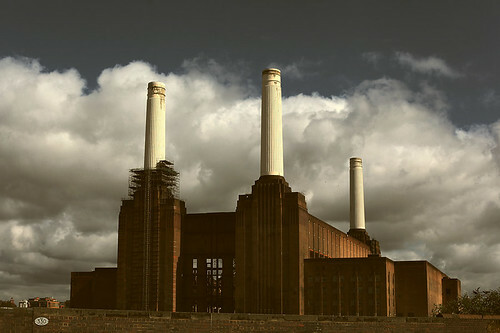 By the time Apple move to Battersea, the Northern Line extension will be open. Thanks Jon. Was unaware of this but will correct.